I am testing the Snapvault configuration using the WFA. 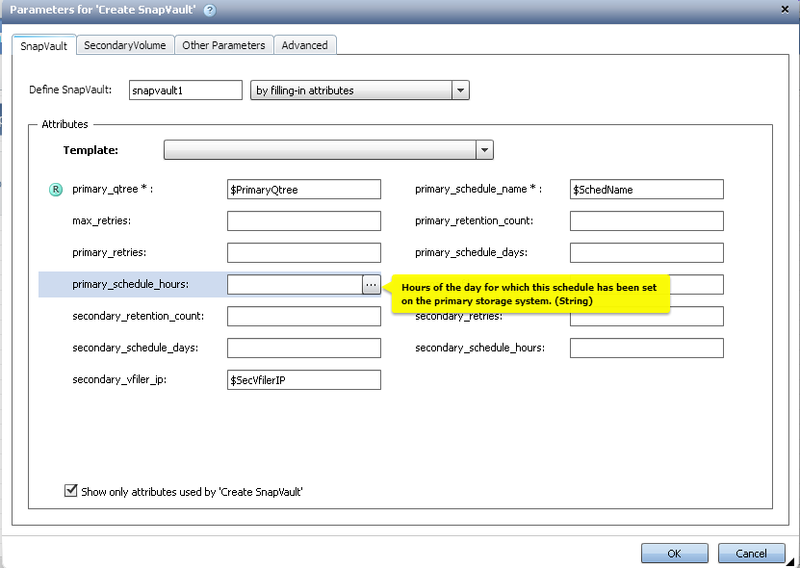 In the "Create Snapvault"(7-mode),we are missing the "PrimaryVolumeName" parameter in that command. Due to that i don't have option to provide the Primary Volume name in workflow.can some one help me on this?. Just wanted to clarify if this is what you meant. I checked the "Create Snapvault"(7-mode) command. PrimaryVolumeName parameter is present in the command. Is this the command which you meant. 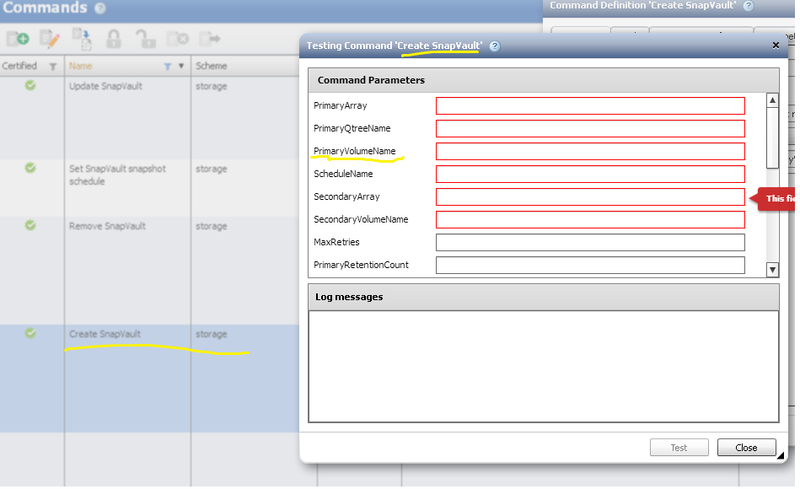 Can you check the attached screen shot.I don't find "PrimaryVolumeName" parameter in that. The parameter 'primary_qtree" is of type Reference Object indicated by a "R" in front of it. So now you can't use $qtree_name as a direct user-input parameter, you'll need to use a Filter. Click on the small box which appears when you take the mouse to enter the qtree_name field. See the image below. There is a tooltip saying "Click button to search for Qtree". Click it.